Building trust between a union and an employer almost seems counter intuitive. The media is filled with stories documenting hostilities between organized labor and management with threats of strikes and boycotts and lots of back and forth posturing. 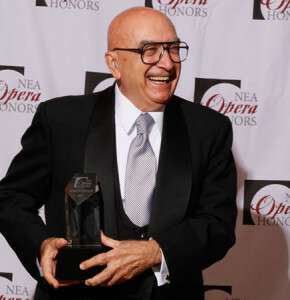 Lotfi Mansouri, SF Opera’s Former General Director. We listened to each other and built trust. 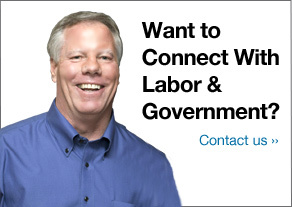 I have negotiated hundreds of contracts and project agreements on behalf of labor and most of them are difficult. Even in good times, no employer ever says to me, “I want to give you more.” We fight for every term and every condition. Yet, even in the most difficult of negotiations, you can build trust with the employer. How? First, listen to their needs. Understand their position. When I open a contract for negotiation, I usually build in a pre-meeting with the employer. Pre-meetings focus on broad economic issues and priorities. You hear what matters to the employer and the employer hears what matters to you and your members. Secondly, but just as important as the first: Shoot straight. Say what you mean and mean what you say. An employer may not like it, but if you’re consistent he’ll know you’re true to your word. Keeping your promise to the employer during negotiations can be tricky. It’s not just your word that’s at stake. You’re also speaking on behalf of your members so you better know what they want when you sit down at the negotiating table. Make sure you keep your membership informed and involved throughout the negotiation process. Include several union members, who will be directly affected by the new contract, on your negotiating team. You have to earn their trust too. After the contract has been signed and sealed, you may be surprised when stuff comes up that isn’t covered by the language you spent months sweating over. That’s why you include a plan for grievance and arbitration in your contract to account for this possibility. I remember a disagreement I once had over an article in IATSE Local 16’s contract with the San Francisco Opera. I met with the General Director, the late Lotfi Mansouri, and discussed it for some time. To my amazement, he chose my way. “I want to do what’s best for the crew,” he told me. Lotfi was one of those rare employers who came up through the ranks, ascended to the height of his profession and never forgot where he came from. He also was a straight shooter. What else would you expect from the man who introduced super titles to all his opera productions? I will always remember that moment we shared. Lotfi Mansoui earned my trust from that point forward. Later, the stagehands (IATSE Local 16) repaid Lotfi’s kindness by making a generous donation to the Opera’s fund raising campaign, which he championed.